Tough D-Sub Fits U.S. Military Requirements » HHP Associates, Inc. The D-sub is one of the most popular electronic connectors in the world, with many types, sizes, and applications. It’s a big category with a dizzying number of choices – not all of which are created equal. The MIL-DTL-24308 or “M24308” is one of the most robust, built to the very specific requirements of the U.S. military. 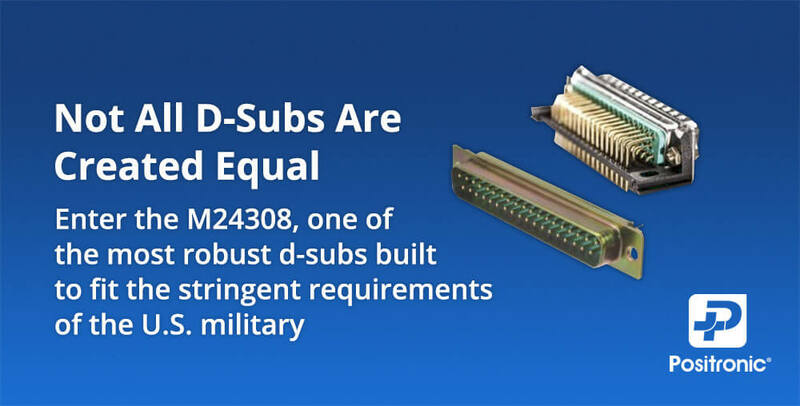 Read the full article and learn why not all D-subs are created equal.